In two photos side-by-side of Gary-John Hill taken six months apart, he looks almost unrecognisable. 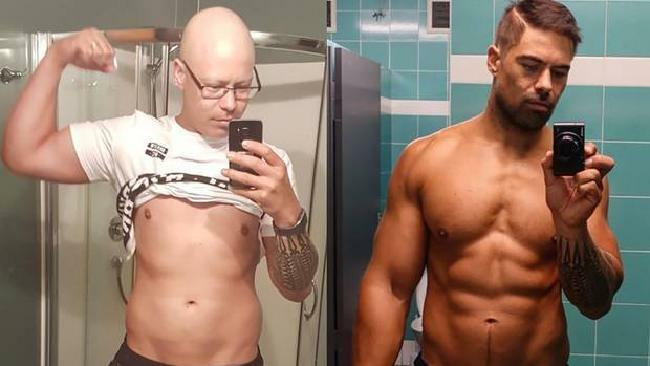 A NEW Zealand cancer survivor has shown off his dramatic physical transformation just six months after finishing gruelling chemotherapy treatment. In two photos side-by-side of Gary-John Hill, taken six months apart, he looks almost unrecognisable. The man on the left is pale, has little muscle to him, is skinny and his hair has fallen out, while the man on the right is toned, tanned and has a full head of hair. Mr Hill, a personal trainer, was diagnosed with cancer last September and the disease almost claimed his life. Before and after his cancer treatment. "I felt pretty good, then all of a sudden started coughing and went backwards and forwards to a doctor. I just thought it was a cold," the 30-year-old said. It was then that he learned he had stage 4 cancer and if he didn't undergo chemotherapy immediately, he had just two weeks to live. "It was a 60cm tumour in my chest, pushing up against my heart, covering my lungs." He also had tumours in his lungs, his neck and his kidneys. Mr Hill started treatment the next day. The sudden shift in his health was, as he described it, "pretty damn scary". He endured seven tough months of treatment. "There were times where I just wanted to die because it was so hard. I didn't care anymore." Gary-John Hill was treated for stage 4 cancer, diagnosed in August 2017. 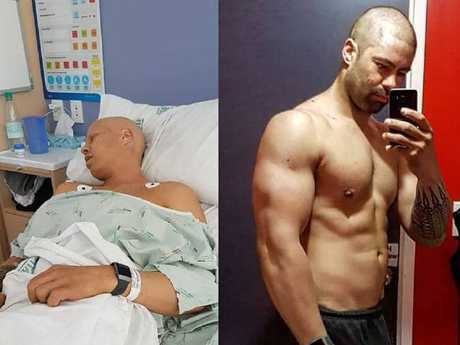 Once he finished chemotherapy (left) in February 2018 he trained for and entered the WBFF Worlds. The type of treatment Mr Hill had meant he couldn't go out, as even the smallest infection could kill him. "I wasn't allowed to socialise, I wasn't allowed to see my family, you know, only close family." By the time of his last chemotherapy session, he had reached his limit. "I was free of cancer, but the treatment would've killed me. "By the end of it, I was a shadow of a man." Over the course of his cancer battle, Mr Hill had lost 30kg and even getting out of his hospital bed was a struggle. When he was able to go home, he was quiet, weak and didn't want to do anything. "I was still in treatment mode where I had to be really careful of germs … I was still scared of everyone. I became scared of the supermarket, scared of the gym where I wanted to go to get stronger again. "I eventually got my confidence back and started meeting people and started not to worry about it so much and let things sort of fly." He got back into training, making very slow progress at first. "My abs and my legs hurt after walking 200m down the road, that's how much my muscles weren't used to being used. I struggled to sort of lift my arms up," he said. "I looked like a 67-year-old man and I was only 29 years old." He could only muster very light weights. "I'm quite a tall guy so I looked fairly lanky and really skinny so I didn't look well at all." 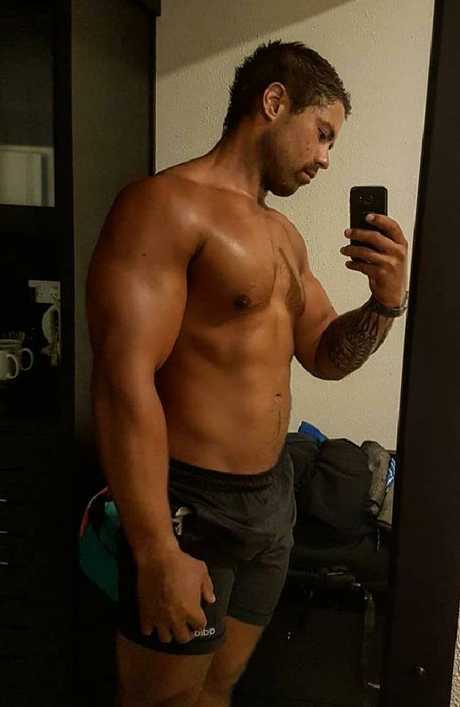 Week by week, his ability to carry heavier weights improved and he began to feel like his old self again. Now, he's gearing up to compete in the WBFF Worlds - the world of beauty, fitness and fashion - in Las Vegas. He heads to the US on Monday. 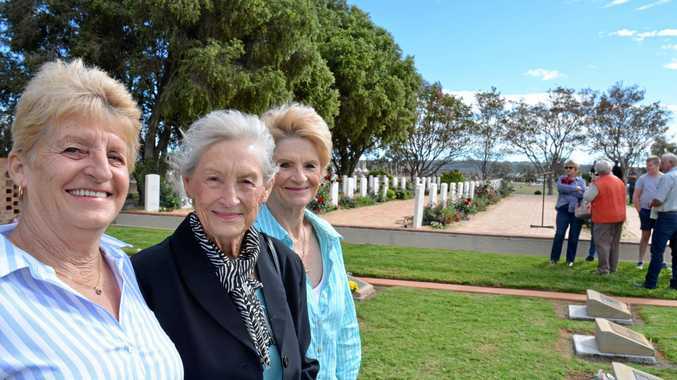 "I'm so happy to have this gift and to have got much stronger," Mr Hill said. "It's more than physical, it's mental as well." He still has a mass inside his chest but there's no cancer in it. Going forward, Hill has to have check-ups every three months. When asked about what the future holds for him and his wife, he says they are hoping to have children. Thankfully, he says, that dream is still a possibility. The chemotherapy made him permanently infertile, but Mr Hill was able to put aside some of his sperm prior to the treatment.